Mother Nature Won’t Be Bothering You Anymore! SnapnDeals presents the extraordinary Turfstand Light Stand for only $99.00 – FREE shipping included. Forget environmental challenges and enjoy your outdoor shooting experience. Price for Canada, Alaska & Hawaii (FREE shipping included) is $139.00. PLEASE NOTE: Turfstand is ONLY for sale in the United States and Canada. For a limited time only – Don’t miss out on this SnapnDeal! The Windborne photography light stand, the Turfstand, is the new standard by which professional photographers will judge lighting stands. 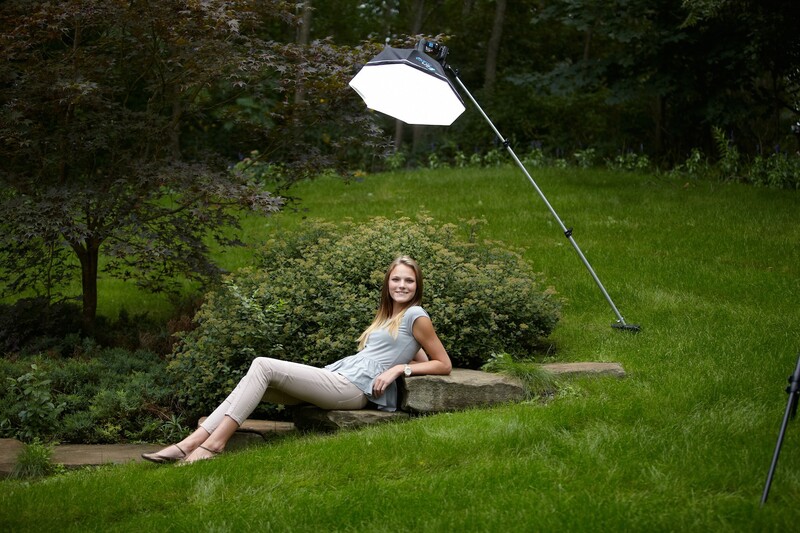 Created out of sheer necessity, this photography light stand accepts new environmental challenges with ease and allows for a more versatile outdoor shooting experience. 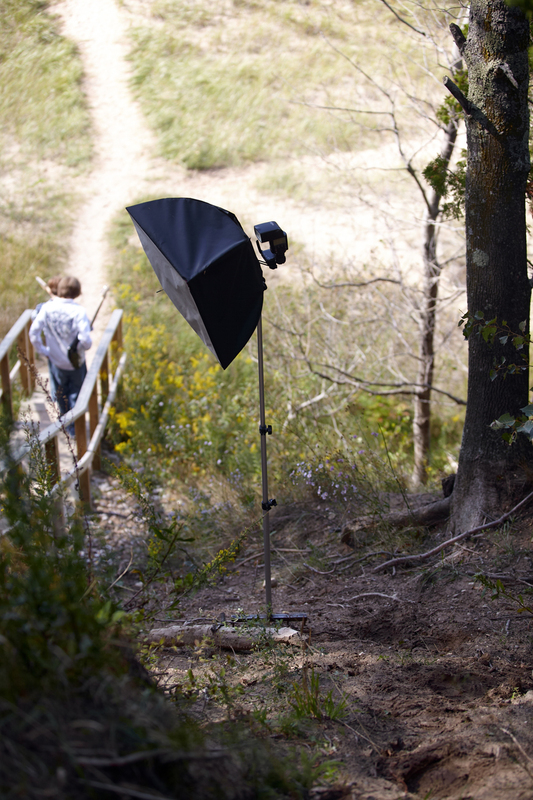 High winds and uneven terrain are no match for this photography light stand’s tough metal tines and ingenious self-supporting design. Be it a steep hill, loose sand, muddy river bed or even a rooted forest floor, this stand stays upright and balanced without the aid of sandbags or an extra set of hands. Windborne’s photography light stand combines rugged durability with a lightweight frame and features a universal 1/4″ threaded end, perfect for today’s most popular speedlights, modifier arms and other lighting accessories. So do yourself a favor and show nature who’s boss by adding a Windborne Turf Stand to your team. 1. 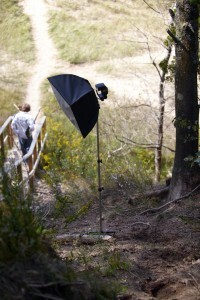 Light – There’s no need to log extra hours at the gym just to lug this light stand to location. It only weighs 2.5 lbs, nothing compared to some of the 11 lb. 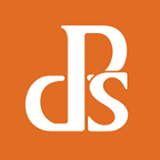 alternatives on the market. 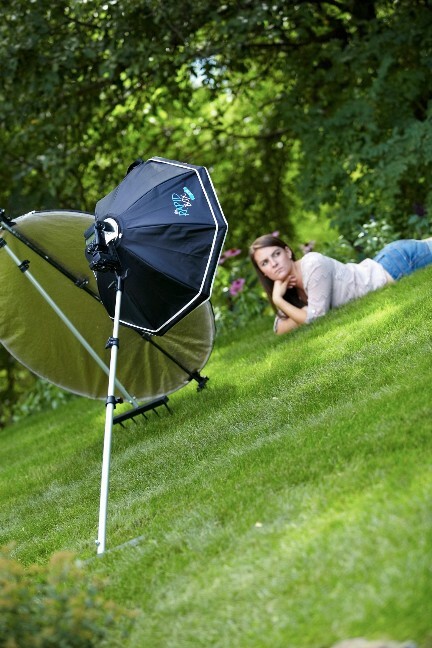 This is a great professional lighting stand for women. 2. Durable – This robust light stand was built with aluminum and steel with two strong locking knobs. You won’t need to replace this stand in a year due to internal spring features falling apart, or the top no longer being able to hold your light in place. Yes you can put away the duct tape you won’t need it anymore. 3. Weather – Don’t be afraid of a little wind. This is where the Turfstand light stand really shows what it’s made of. 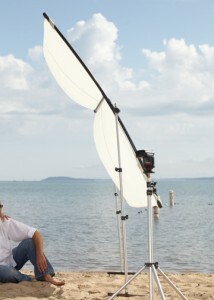 The steel spike base, anchors the stand firmly making it a necessity for those breezy beach photo shoots. 4. 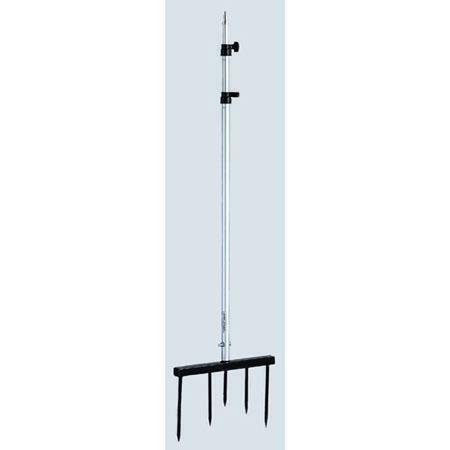 High Load Bearing – You can load this light stand with up to 4.5 lbs (2 kilograms) of equipment. 5. Versatile – The stand head has a ¼” thread, 20mm nut diameter over a 5/8” stud. 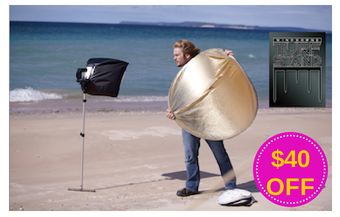 It holds a variety of lighting tools including reflectors, diffusers, strobes and flashes. 6. Easy to Use – Using the Turfstand is simple, just anchor the base firmly into the ground (sand, mud, dirt) extend the stand using the two locking knobs and attach your lighting tool. 7. Compact – This 7’6” stand is only 34” when disassembled making it easy to bring to even the most remote locations. 8. Stable – Other stands my claim that the legs are long enough to offer stability but all it takes is a gust of wind to topple them over. Traditional outdoor stands also leave you limited when you are attempting to work on a hillside. The Turfstand can be anchored securely on a hillside, beach, forest floor and other areas where other light stands would be an accident just waiting to happen. 9. Guaranteed – If you order the Turfstand and are unhappy with it for any reason you can return it and receive a full refund for up to one year after the date of purchase. 10. 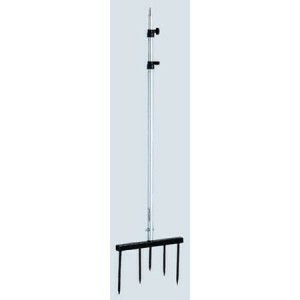 Affordable – Priced at only $99.00 with free shipping this high performance outdoor light stand is a great value. Turfstand is ONLY for sale in the United States and Canada. The Turfstand will be shipped within 5 days of ordering. 1. Click the BUY NOW button – you will be redirected to Turfstand’s products page. 2. Choose the product (Original or Turfstand Base) and quantity – there is an Option for Canada, Alasaka & Hawaii. 3. Click the ADD TO CART button, and then “PROCEED TO CHECKOUT”. 4. Fill in your details and type summer14 on the Discount Code box (nearly at the bottom). 5. Click NEXT and voila! You’ll get your $40 discount!